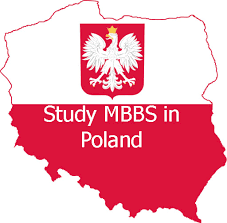 MBBS in Poland - Officially known as the Republic of Poland, the country is a unitary state and is made up of 16 voivodeships. It is the sixth, in terms of the population, in the European Union. It is considered to be one of the fastest growing economies of EU. The education system of the country is considered to be 23rd in Programme for International Student Assessment conducted by OCED as the Education starts as early as at the age of five in the country. In terms of human development, Poland ranks high in the list. The country has a long history of providing quality education in medical courses. These degrees are recognized in EU as well as by the Medical Councils of other countries. World Health Organization recognizes the degrees conferred by different universities of this country. European Credit Transfer System is followed in this country. The medium of instruction of medical courses is in English, and this attracts students from overseas to pursue medical degrees in the country. The government of the country offers the provision of Blue Card for professionals, which helps them to get a job and settle down in the country. Duration of this course is of 6 years, but prior to it you need to go through a preparatory course of one year. This course abides by the Bologna Process. The MBBS course can be divided into two distinct parts. During the two initial years, knowledge regarding basics of medical sciences is imparted to students. Gradually, they are introduced to the clinical aspect of the stream. The remaining four years of this course comprises of theoretical and practical classes. After completing and successfully passing the final examination, students are awarded a degree.